Belmar Women's Care (Lakewood) - Book Appointment Online! 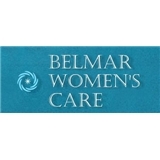 At Belmar Women's Care we strive to provide state-of-the-art, personalized women's healthcare in a welcoming and supportive setting. We offer a full range of gynecologic care, including: Well Women exams, minimally invasive surgery and hysterectomies, menopause/PMS and bioidentical hormones, basic infertility evaluation and treatment, contraception including paragard/mirena/skyla/Liletta/Kyleena/nexplanon and Essure, STD testing, and Gardasil/HPV vaccine. In addition, we offer evaluation and treatment of: Abnormal or heavy uterine bleeding, urinary incontinence and InTone/surgery, abnormal PAP smears, PCOS/polycystic ovarian syndrome, endometriosis, fibroids, Vulvar disease, vaginal infections and interstitial cystitis. ***Cancellation Policy*** Please give us 24 hours notice by phone if you need to cancel or reschedule or there will be a $75 fee. She was very professional, quick, and kind. The appointment was rather nice, which says a lot. I know no one actually enjoys that type of appointment.